The IMAS project has been a one-year project, funded by the Erasmus+ programme of the European Union. 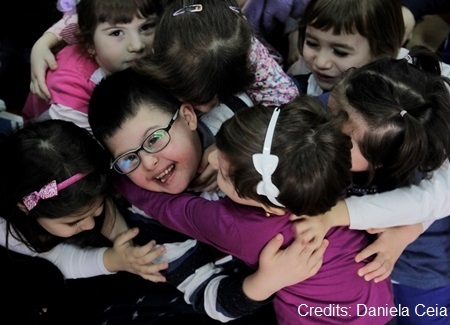 It focused on the education of disabled children and young people in Europe, with the aim of establishing a common framework for scrutinising how assistance is organised in schools. The main objectives of the project were to understand the contribution of assistance services to inclusive education for disabled children and young people, to develop recommendations for the further development of these services and (if necessary) to enhance them through the project activities. The project stemmed from the fact that the European Union and all member states have ratified the United Nations Convention on the Rights of Persons with Disabilities (UNCRPD) and, therefore, the European educational systems have to become inclusive. All children and young people should be able to rely on professional staff to enable their learning and participation in school. For disabled children and young people, non-teaching staff (learning support assistants, teaching assistants or similar) play a vital role in enabling them to successfully engage in every aspect of compulsory and post compulsory education. The project was launched in Gleisdorf, Austria, in November 2016 and has been led by Chance B (Austria), a social service provider operating in the Eastern part of Styria, offering support to every person who needs it to live will in the region. In addition to CSIE (UK), the other project partners were: Vision - Agency for social development (Bulgaria), a legal entity with non-profit purpose which works in public benefit, specialising as a service provider in the area of culture and social development; ARCIL (Portugal) providing a wide range of services in the rehabilitation field for disabled children, young people and adults or those categorised as having special needs; the European Association of Service providers for Persons with Disabilities (EASPD), a non-profit European umbrella organization currently representing over 12,000 social and health services for disabled people; and TENENET o.z. (Slovakia) an organisation established as a social and psychological advisory centre helping disabled clients, children in social need and youth with behavior problems. During the course of the project, partners considered the range of support available to disabled pupils in schools, and established a common framework for scrutinising how assistance is organised so that disabled children are supported in ways which are consistent with the requirements of the UN Convention on the Rights of Persons with Disabilities (UNCRPD). At the beginning of the project the partners systematically surveyed the current state of assistance services in their countries and, collectively, compiled a Status Quo Report for all project countries. These surveys yielded an overview of the different systems. They also enabled partners to formulate recommendations for the role of learning and support assistants in inclusive education on a European level. Another main activity was a five-day training event involving assistants, teachers, education experts, parents and former pupils from the countries of all project organisations. The participants at this event discussed the recommendations, shared experiences and worked on scrutinising processes of inclusive education in their national context and developing a set of improvement suggestions as relevant. Subsequently all partners developed a set of recommendations specific to their country, based on the general recommendations already developed at European level. At the end of the project all partners organised and held stakeholder meetings to disseminate the national recommendations among decision makers in the education system and at all levels of policy and administration. All project activities were based on a participative, practical approach and involved as many assistants, pupils and stakeholders as possible. The IMAS project has set an important first step to draw attention to assistance services at European and National level, on the understanding that these play an important role in developing a more inclusive education system consistent with the requirements of the UNCRPD. The project has clearly demonstrated that there are no clear and consistent frameworks for availability, quality and responsibilities of learning and support assistants in schools and other educational settings. The project has also shown that in some regions of Europe the possibility of making assistance services routinely available to disabled children does not exist. It is anticipated that the recommendations developed during this project will provide orientation for decision makers and assist them in further developing assistance services in their countries, in ways which are consistent with the requirements of the UNCRPD. The UN Committee on the Rights of Persons with Disabilities has produced a damning report, following its recent Review of the UK government’s compliance with the Convention. The Committee met in Geneva on 23 and 24 August to examine the UK government’s progress on fulfilling its commitments. Far from being a world leader in disability equality, the UK government’s record on upholding disabled people’s rights has been condemned by the Committee; one member went as far as calling this a “human catastrophe”. In its Concluding Observations, the Committee has made more than 60 recommendations, the highest ever number of recommendations to the UK. Deaf and Disabled People’s Organisations (DDPOs) were hailed as the genuine “world leaders” for their efforts in bringing to light the injustices and human rights violations inflicted on disabled people in the UK. Education for disabled children has been highlighted as an area of major concern. The Committee was concerned at the increased number of disabled children being sent to separate “special” schools, and the UK’s reluctance to develop more inclusive education for disabled children; it called for a strategy to end the segregation and institutionalisation of children and young people from their families and communities. It also expressed concern at the UK government’s failure to address high levels of bullying, hate speech and hate crime against disabled children and young people. Education and training of teachers in inclusion competences is not reflecting the requirements of inclusive education. Further information on the Convention is available on the UN website, as are the UN Committee’s Concluding Observations. 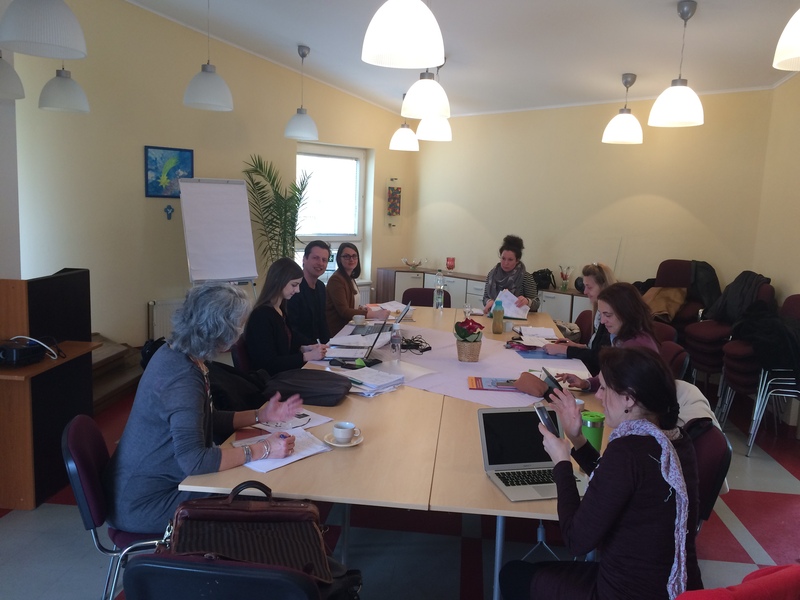 CSIE’s contribution to the IMAS project (IMproving ASsistance in inclusive educational settings), took us back to Gleisdorf, in Austria, last week. 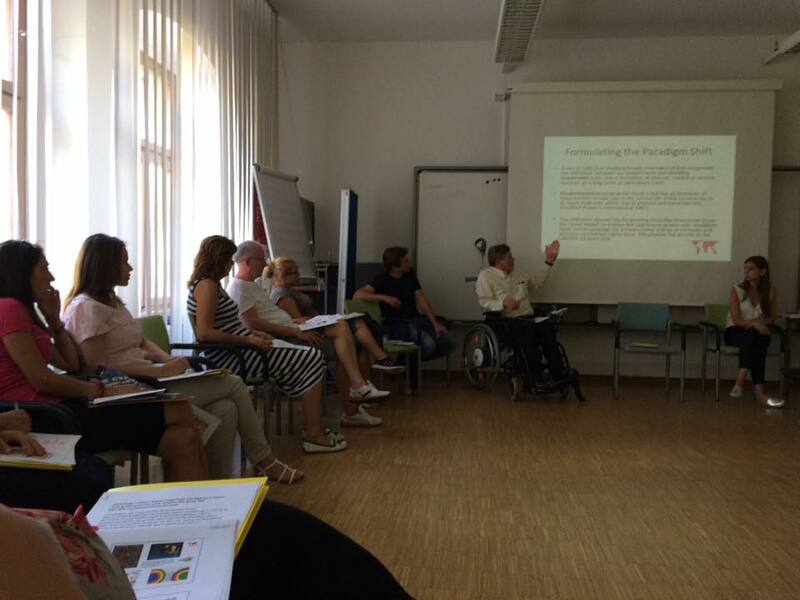 Project partners, learning supporters and other contributors from all project countries met from 14 to 21 July to share their experiences and learn from one another, as well as to formulate recommendations for the way assistance for disabled children is organised in schools. Participants visited a local summer school and held a series of meetings with a mixture of inspiring presentations and vibrant discussions, as well as country-specific focus groups. Among the highlights of the week was an inspiring presentation from inclusion consultant Richard Rieser, CEO of World of Inclusion pictured above, and contributions from learning supporters, project partners and a disabled young person who presented some of her experiences of assistance in her local school. The IMAS project is a one-year project funded by the Erasmus+ programme of the European Union. The project was launched in Gleisdorf, Austria, in November 2016 and is due to conclude in November 2017. It is led by the Austrian organisation Chance B and, in addition to CSIE, is joined by: Agency Vision (Bulgaria), ARCIL (Portugal), EASPD (European organisation based in Belgium) and TENENET (Slovakia). Collectively, the partners are considering the range of support available to disabled pupils in schools, and seeking to establish a common framework for scrutinising how assistance is organised in schools, so that disabled children are supported in ways which are consistent with the requirements of the UN Convention on the Rights of Persons with Disabilities. For more information please see the IMAS website. Founded on 28 June 1982 as the Centre for Studies on Integration in Education, CSIE took on its current name in the 1990s. The Centre has continued to evolve, has expanded its remit to cover all aspects of equality in education, and has remained at the forefront of developments in inclusive education. Some of our most recent achievements are listed below. Our 2016 resource continues to attract the interest of teachers and school leaders. "Equality: Making It Happen" is a succinct and user-friendly set of reference cards to help schools reduce bullying, address prejudice and promote equality holistically. It has been sponsored by teachers’ union NASUWT, has won an Innovative Practice Award 2016 from the Zero Project, for a world with zero barriers, is being translated into Spanish and Portuguese with more translations in the pipeline and has been complimented in an independent review in Educational Psychology in Practice, the professional journal of the Association for Educational Psychologists. In September 2016 CSIE created a short film with the generous help of George Magner, a freelance film maker who his services free of charge. The 3-minute film presents “Equality: Making It Happen” and the impact the new guide has had on schools, as well as describing CSIE’s intention to take this project one step further and create on online equality hub to be freely available to all schools. CSIE has recently embarked, in partnership with a researcher from the University of Bristol, on a collaborative research project on Widening Participation for disabled students. This research has been commissioned by the University of Bristol and focuses on disabled students’ perspectives on the support that the University provides, identifying what works well and what are some of the barriers in disabled students’ learning and participation in all aspects of University life. During the course of the year CSIE delivered equality workshops for education practitioners throughout the country, generously supported by Barclays Bank and The Ben Cohen StandUp Foundation, to whom CSIE remains grateful. Workshops were delivered in Bristol, Cardiff, King’s Lynn, Norwich, Leicester, Reading, Chorley and York. The overwhelming majority of participants said that they found the content excellent, useful, very interesting or thought-provoking, and the presentation well-paced, clear, concise, friendly and informal, tailored to the needs of the group, and with a good balance of discussion and listening. CSIE is honoured to have been invited to contribute to the Beit Project, a European project promoting social cohesion. The project was launched in Paris in 2011 and is co-funded by the “Europe for Citizens” Programme of the European Union. The Beit Project connects historical heritage with the fight against racism, social exclusion and discrimination. By using the urban space, the heritage and the history of the place as the source of questioning, participants investigate concepts of ‘the other’ in society. The project has already been realized one or more times, in one or several districts, in Paris, Rome, Barcelona, Berlin, Brussels, Lódz, London, Marseille and Sofia. After a first Pilot in Tower Hamlets in 2015, the Beit Project returns to London this month, this time in King’s Cross, bringing together pupils from a range of schools, from inner and outer London. Pupils taking part in the project build a nomadic school in a public place where they meet and study together, working towards a shared understanding that differences are not obstacles but great assets. 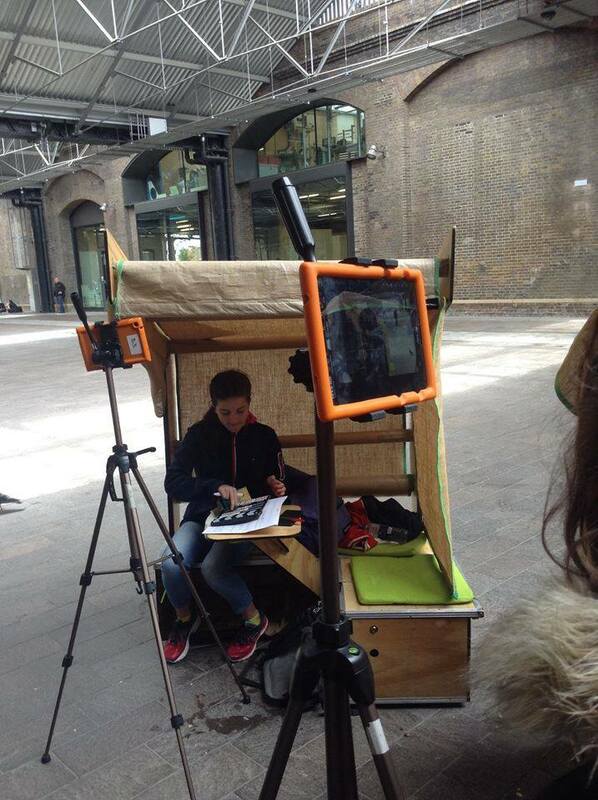 The final presentation event is due to take place at Granary Square, King’s Cross, on Thursday 6 July. The Beit Project aims to transform heritage sites into educational platforms for dialogue and debate, linking History and contemporary issues. It was created by David Stoleru, a French educator and architect specialising in Heritage Preservation and Education, and is led today by a Not-for-Profit based in Barcelona and a dynamic multi-disciplinary team including educators, historians, architects, artists and network experts. For more information please see the Beit Project website and YouTube channel. CSIE is delighted to have been awarded a grant from the University of Bristol to research current experiences of disabled students, in collaboration with Dr Dave Bainton, researcher at the University of Bristol. The study is already underway and seeks to explore experiences of students at the University of Bristol who identify as being disabled or who experience mental health issues. It is anticipated that outcomes will shape policy and practice across all disciplines and departments of the University. This research project adopts the definition of disability as this appears in the Equality Act 2010 and, therefore, seeks to engage with students who identify as disabled according to this definition (i.e. students who have a physical or mental impairment, including mental health issues, which has a substantial and long-term negative effect on their ability to do ordinary daily activities). The study aims to provide the University of Bristol with: a) feedback on current policies and practices which are effective in ensuring that disabled students are included in every aspect of University life; and b) practical recommendations for improving current procedures for welcoming and adequately supporting disabled students. As a result, the University will be further enabled to operate in line with the requirements of the Equality Act 2010 and Article 24 (Education) of the UN Convention on the Rights of Persons with Disabilities. The IMAS project is a one-year project funded by the Erasmus+ programme of the European Union. The project was launched in Gleisdorf, Austria, in November 2016 and is due to conclude in November 2017. It is led by the Austrian organisation Chance B and, in addition to CSIE, is joined by: Agency Vision (Bulgaria), ARCIL (Portugal), EASPD (Belgium) and TENENET (Slovakia). Collectively, the partners are considering the range of support available to disabled pupils in schools, and exploring how best to support the learning and development of disabled pupils in ways which are consistent with the requirements of the UN Convention on the Rights of Persons with Disabilities. For more information please see the IMAS website.